Is it week three at CASE Study already with the amazing Maile Belles as our muse!! Time flies when you're having fun! 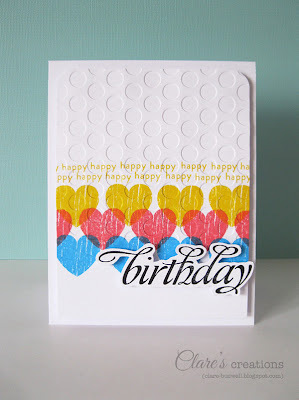 : ) Check out Maile's fab card this week. 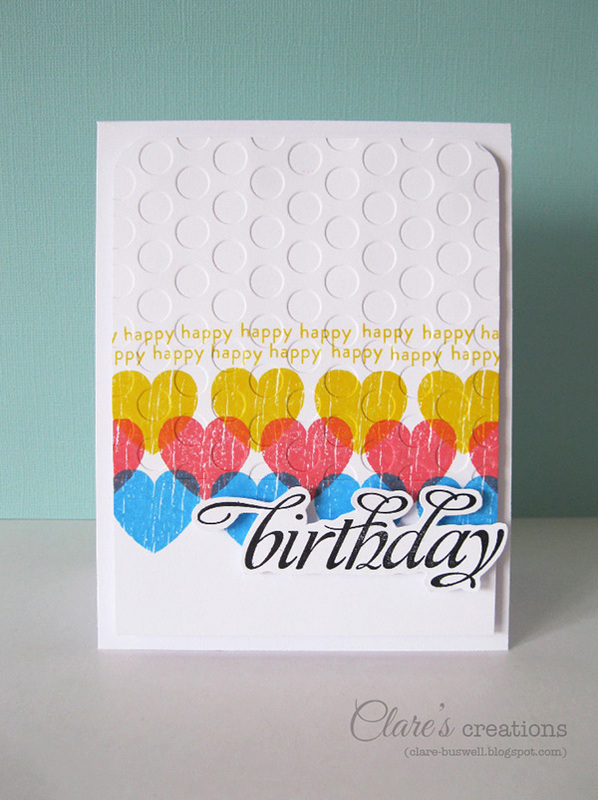 Such a fab CAS card, I stayed pretty close to the color palette (my blue is a bit more in your face! 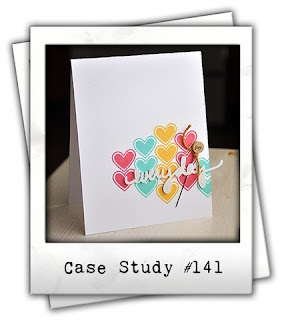 ), I stuck with the heart theme, left as much white space as I could (embossing makes it more comfortable for me!) and I cut out my sentiment. 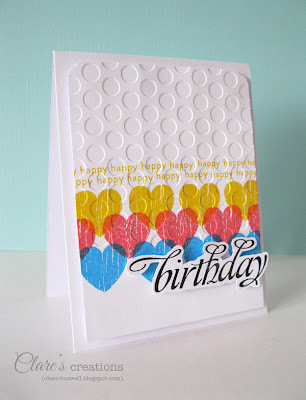 The lovely textural woodgrain heart stamp is from My Heart by Waltzingmouse Stamps and I stamped it using Impress Lemon Yellow, Memento Lady Bug and Bahama Blue. 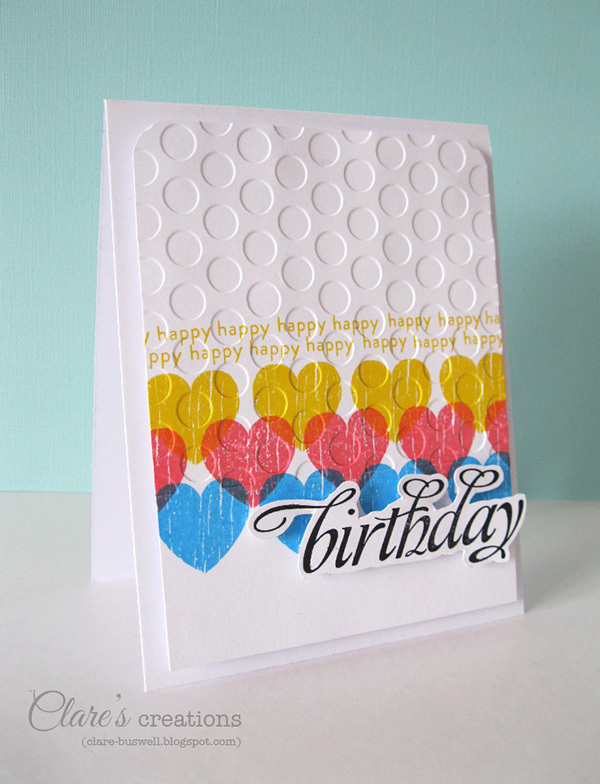 I liked the cool effect of overlapping the hearts while stamping. The 'happy' text is from Say it Loud also from Waltzingmouse Stamps. 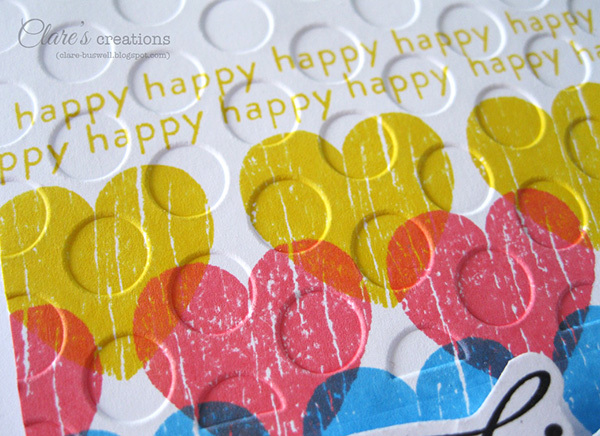 Once I had it all stamped I ran the Seeing Spots embossing folder over it, using the debossed side. Don't forget to swing by CASE Study and have a look at the rest of the team's creations. I'm sure you'll be inspired. 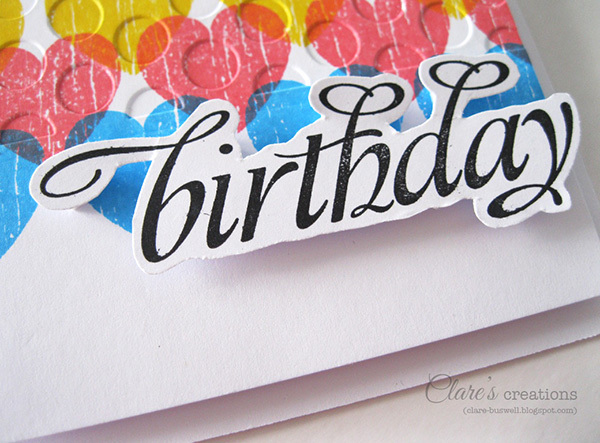 Thanks for dropping by and I'm really grateful for your comments. Have a great day!